But, how many menswear brands are conscious of their social or environmental impact? 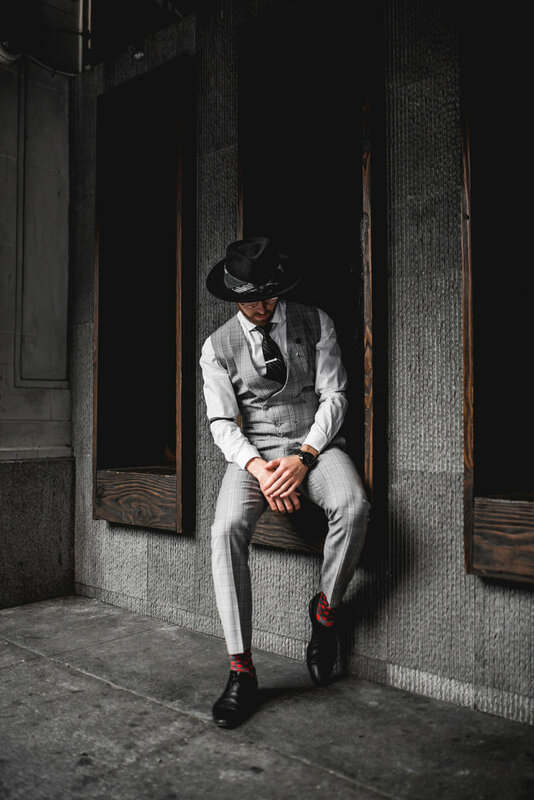 Most menswear brands would rather put everyone in a monkey suit and turn everyone into 'yes-men', or worse yet, the luxury brands predicated on notions of status and exclusion are turning their customers into pretentious classists. But you're not a pretentious classist - We know, we hear you. But, how about finding a quality made suit from a brand that suits your taste or your values? To The Nines offers new made to measure suits that are responsibly manufactured, transparently priced, and supports in providing suits to disadvantaged men. You can even send back your gently used suits for up to $100 credit, and the suits will be donated to men in need. We make suits that empower men to look, feel & do good. We offer 25+ ways to customize your suit, and provide a 5 min step by step guide to take your measurements. Receive your custom suit in 3 weeks! Know that your purchase supported in provided tailored suiting to disadvantaged men. We'll send you up to $100 off when you send us back your gently used suits which will be used to support disadvantaged men. We’re committed to transforming lives of disadvantaged men who have the desire to take on their lives. That’s why every purchase supports in providing tailored suiting to homeless and disadvantaged men. get Access to our private community..
We want to hear from you! What are your frustrations with the menswear industry? What are you looking for in a suit? Join our FREE private community of men looking to live impactful & authentic lives by leading from courage and developing self confidence through dressing in excellence. © 2018 To The Nines. All Rights Reserved.